Keeping driveways, pathways and decking clean helps to eliminate algae and dirt which as many know can become very slippery. 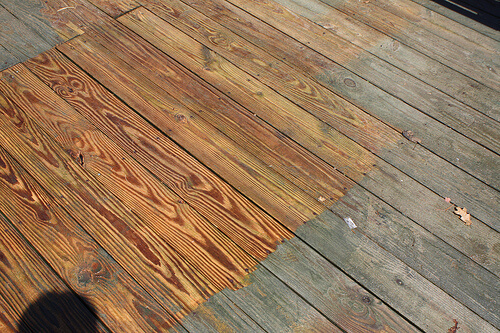 We have two unique pressure washing machines which can both be used to ensure that your patio, decking, cladding, driveway, pavement or any other surface comes up like new. One is petrol operated limiting any unnecessary intrusion or using your electricity! The other has a large rotary head which contains the dirt and debris preventing it from splashing on to the house, on the garden furniture etc. New Leaf Window Cleaning will always discuss your pressure washing needs with you and give an idea of the expected level of restoration achievable. Providing Pressure washing in Brighton and surrounding areas.